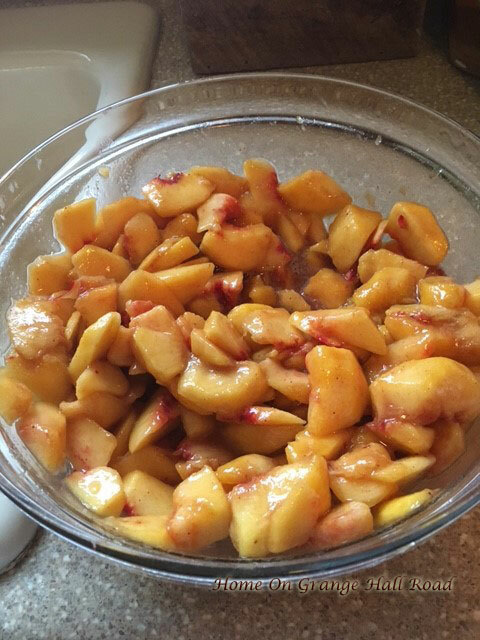 In a large bowl, combine peaches, ¼ cup white sugar, ¼ cup brown sugar, ¼ teaspoon cinnamon, 1/8 teaspoon nutmeg, 1 teaspoon lemon juice, and 2 teaspoons cornstarch. Toss to coat evenly and pour into a 9X13-inch or 2 quart baking dish. Bake in preheated oven for 10 minutes. Meanwhile, in a large bowl, combine 1 cup flour, ¼ cup white sugar, ¼ cup brown sugar, 1 teaspoon baking powder, and ½ teaspoon salt. Blend in butter with your fingers, or a pastry blender, until mixture resembles coarse meal. Stir in ¼ cup boiling water until just combined. 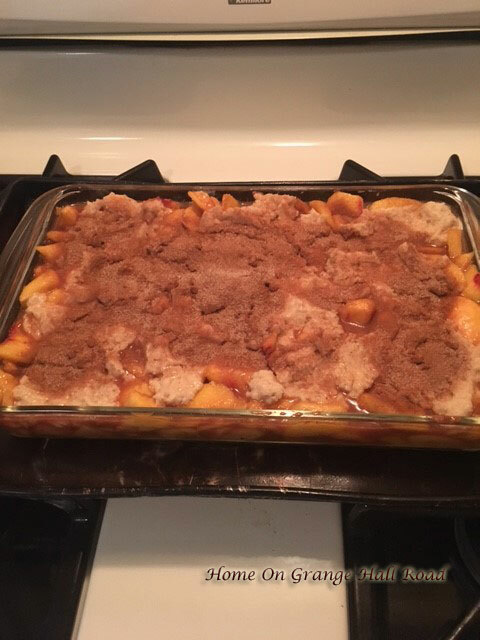 Remove peaches from oven, and spread topping over them. Sprinkle entire cobble with the sugar and cinnamon mixture. 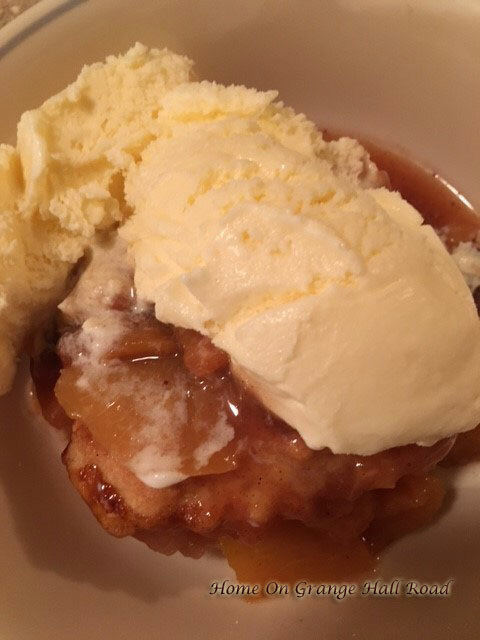 Serve warm topped with vanilla ice cream. Delicious!!! The flower cart continues to amazing and inspire me. Here are some of the selections available today. 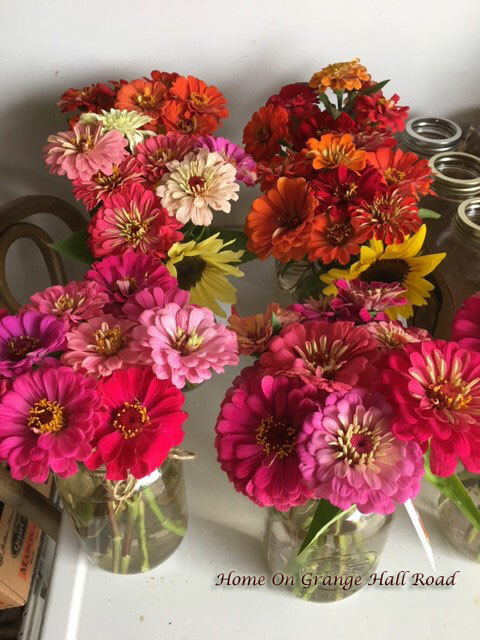 Fall is quickly approaching. Along with the lovely flowers, we will have pumpkins ready this weekend!! !